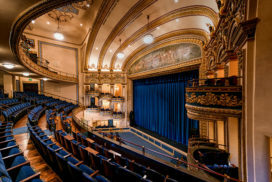 Located in the heart of downtown Birmingham, the Alabama Theatre is a spectacular venue for your next event. 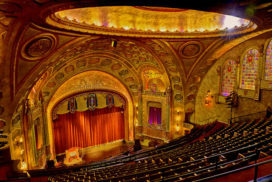 With ample parking, delightful guest services, and historic charm, the Alabama Theatre is the perfect venue for your next event. Reserve this beautiful and spacious banquet hall, adjacent to the Alabama Theatre, and perfectly equipped for your next function. Newly renovated and perfect for any live performance or gathering, the Lyric is an extraordinary venue that will delight your guests. 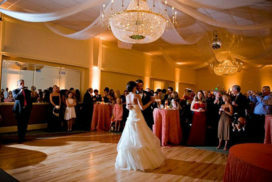 The Birmingham Landmarks Event Complex has all the ammentities you need to host a stress-free event that will impress your guests let you sleep at night. Dressing room facilities are located on three floors on each side of the stage house. Stage Left has eight dressing rooms; each with lighted mirrors, chairs, counters, and a washbasin. Each floor has a restroom with a shower. Stage Right has four dressing rooms; each with lighted mirrors, chairs, counters, and a washbasin. Each floor has a restroom, but currently no shower. There is also one restroom at stage level on stage right. A large catering room is located below stage level. It has a number of tables and chairs and mirrors. It also has a kitchen sink and countertop. It is often used as a wardrobe room or an orchestra lounge. Fill out the form below, and we'll direct your request to the appropriate guest services manager. Theatre staff will contact you and provide all the details you need to make a decision. Rest easy knowing that your event will be handled with care and your guests will have a extraordinary experience.